Weight loss is one thing that requires a lot of dedication. Only 1 out of 10 persons show the utmost dedication and achieve what seems impossible for other. Kaitlyn Smith’s weight loss journey is one of those inspiring stories that can motivate anyone of us who want to shed some weight. She is from Portland and has achieved what many of us dream of. Kaitlyn Smith’s weight loss can be seen as a source of real inspiration for all of those who want to lose those extra pounds. 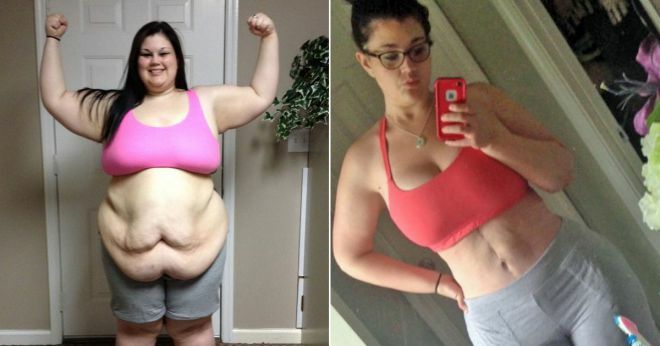 Smith weighed 400lbs before she started to think about losing the weight. ‘I had to realise I was more worth and push past those negative thoughts‘ she said. Smith weighed 414lbs when she was just 20 years of age and obviously, being obese makes you a soft target for bullying. She first opted for a gastric surgery but later changed her mind after coming across a rude doctor. She then took the matter into her own hands. Smith knew that she has to 100% dedicated towards her weight loss and stick to her diet and exercise plans. Although, it looks simple but believe us it is one of the most difficult tasks in the world. Finally, after making her mind, Smith went on a taxing six-day exercise schedule and also, got the help of a weight loss coach. After 15 months, result started showing but there was still a long way to go. Kaitlyn almost lost half her weight i.e 208lbs which culminated in the excess skin and resulted in severe complications like infections and mental distress. Smith said, “losing 208lbs left me with lots of excess skin which leads to many complications such as infection, tearing, joint pain and mental distress.” Later, she created a GoFundMe page to support her medical expenses. Related: Bollywood Actress Zarine Khan Weight Loss Journey From 100 To 57 Kgs. 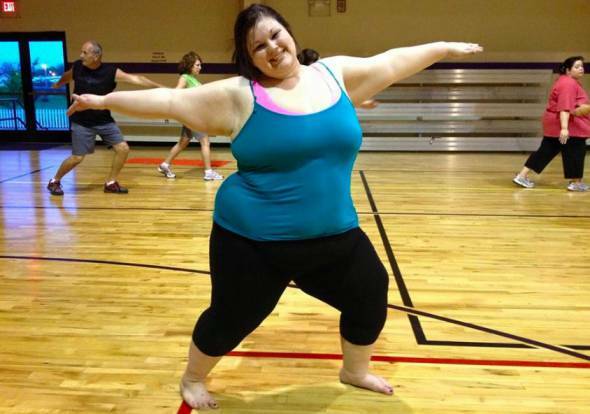 So, are you feeling inspired after reading about Kaitlyn Smith’s weight loss story? Share this post with someone who needs inspiration.